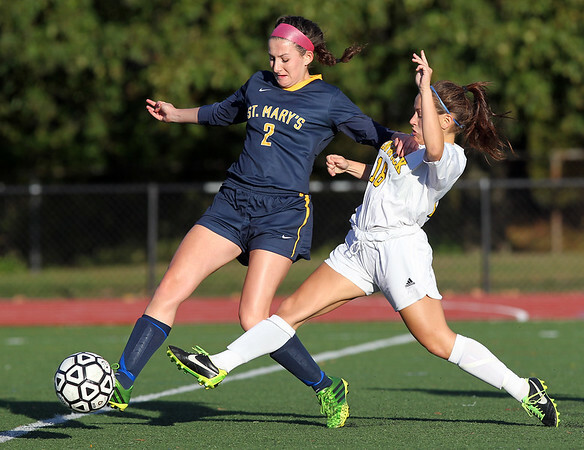 Bishop Fenwick junior striker Danielle DelTorto (18) pressures St. Mary's senior defense Cassandra LaFauci (2) into a hurried clear on Monday afternoon. DAVID LE/Staff photo. 10/20/14.